Thank you so much for your lovely comments on yesterday's post about body image. It's very sad to hear that so many of us have experienced judgement, ostracism and self conscious feelings regarding our bodies but it makes me really happy to know that so many people share my feelings on the subject and that we all stand together in support of each other. After having Rhys, my second baby, I decided that it was time for me to lose weight. I felt pretty happy with my body's shape but after I had my gallbladder removed after my first pregnancy, I knew that I wasn't healthy. I was feeling tired all the time. Having two babies made me want to get healthy so I would have more energy to play with them and a strong body so that I could be with them to watch them grow up and start their own families some day. I posted about it on this blog a while back and was really shocked to receive a little bit of negative feedback on my choice to get healthy. After all, I started this as a plus size fashion blog so how dare I decide to ruin that theme by losing weight! I became discouraged and after a month or two of losing weight, I went back to my old ways. Last week, I finally resolved to change my lifestyle permanently and I joined Weight Watchers online. My mom is a lifetime member and has maintained her healthy weight for a long time. In my week on WW, I lost 6 pounds! I'm back to regular pilates and I have more energy to do the things I love. Like one reader commented yesterday , it's not about vanity, it's about health. So, I may post about my milestones or new healthy recipes here and there and I hope you don't mind. I usually keep most of that stuff on my facebook or twitter so you can follow along there if you like. I proud of you honey, no matter what size dress you wear you have always been totally beautiful,smart and always had the most unique and awesome fashion sense ever! You're an inspiration! Being healthy is the most important thing about doing WW, and none of us ladies in our family are stick-thin, so don't worry gals, Brittany will always have some of those dangerous curves! I grab it and will link it in my sidebar. Don't ever feel bad about trying to get healthy. You are totally right about not having energy, I work out not to lose weight but to keep up my energy, I have two little ones also and that takes a lot out of you. I can feel the difference in my energy level when I don't work out. Your body needs to get that extra oxygen you get from getting that heart rate up. Your are such a beautiful lady at any size and I would never fault you for trying to change your body, "A little" for a better life. Keep up the great work and I would love to here about your progress. Way to go on the 6 pounds by the way! i think that anything to make yourself feel better is worth it! if that means, losing weight to live healthier or to be able to have more energy to play with your babies..then go for it..and as far as curves go..after having 2 children and losing 80 pounds, ive more curves than before..women are beautiful..no matter what size we are...we all just need to take the time to focus on things that are beautiful about ourselves..the outer package eventually fades..good luck on your newest journey, you deserve it!! Woop on the 6lb loss! Healthy and happy is what it's all about! Yay for the widget! Will post it on my blog later! That's terrible that someone would try to deter you from getting healthy! I know I will always be a curvy gal no matter how much weight I lose. I feel so much better now that I've dropped 20 lbs and that's so much more important than a few blog followers. Weight Watchers online is *awesome*....and good for you. Whether you stay the same size and improve something else (i.e. cardiac health, leg strength, etc.) NOBODY should be discouraging you for taking control of your HEALTH. It doesn't always correlate to weight. Not to mention - we're human, we evolve. If all sizes are beautiful and you happen to shrink a few inches, what's the harm? Shows you who the hypocrites are. Good for you! The previous negative comments seem to confuse (forgive me) "fat" with "curvy." The two, while not exclusive, are not the same. It's BEYOND admirable that you're making a life choice based not on vanity or what the media tells you should look like, but rather because you realize that being healthy improves your quality of life and sets a positive example for your children. Well done, lady. Brittany, you such an amazing, inspiringly wonderful person, who has the right to look, and be, any weight you want. I wish you the utmost of success with all of your WW and healthy lifestyle goals, and am here to cheer you on every (vintage high heel clad) step of the way. Good for you! 6lbs welled,one. I'd love to hear your progress and help cheer you on. 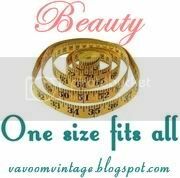 Justr a quick not to say that we love you and your blog just the way you are... whether your 10 pounds lighter or heavier. Like you said it's all about feeling good and having the energy to do all the things you want to do-you go girl! I agree with so many of the comments above I have nothing new to add so to speak. Well done you! here's to being happy and healthy. Yay welcome to the WW club! I know that I have never been happy fat, and I'm certainly not healthy. I don't judge others if they don't want to lose weight, it's a totally personal choice, I don't judge someone for being skinny so why would I just them for being bigger. You do what's right for you! I have lost 17lbs on WW in the last 10 weeks and I'm happier for it, I still have a long way to go to feeling totally happier but I'm already transformed, happier, more confident, fitter and healthier. HI there just wanted to tell you some thing don't feel bad about wanting to loose weight or getting healthy i was the same you know my husband and family never supported me when i decided to do it but i kept my chin up and got on with it ignored them all. Be proud of yourself for wanting whats best for you and your family.